Jacopo was born & raised in Mantova, Italy. He started his training with gymnastics and later he was introduced to dancing. He decided to move to Milan where he studied for 3 years at SPID and also graduated. His love for aerial dance started with his participation at the Opening Ceremony of the Olympic Winter Games in 2006 and hasn’t stopped since. He toured Italy with the national production of “Cats”, danced on the stage of La Scala Theatre and worked in Venice performed on the façade of buildings in many exclusive locations such as St Mark’s Square. From 2007 to 2016, he worked onboard Royal Caribbean’s ships as a dancer, acrobat, aerialist, wardrobe supervisor, dance captain, and aerial coordinator. During his time with Royal Caribbean, he met Jeremy, who selected him for a featured aerialist during the creation of the Centrum Wow for Splendour, Grandeur, and Legend of the Seas. In 2017, Jacopo moved to Chicago to become a proud member of the C5 team. Brian Hare was born and raised in the Detroit area. After graduating high school he continued his higher education at Columbia College Chicago graduating with honors with a degree in Arts Entertainment Media Management and a minor in Dance. 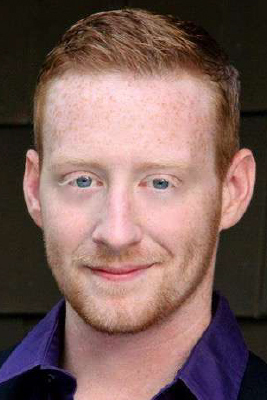 As a performer, Brian spent four seasons as a company member with the interdisciplinary group Chicago Dance Crash and five seasons with contemporary company Thodos Dance Chicago until 2013. He has also been a guest artist for several other Chicago based organizations including Cerqua Rivera Dance Theatre, The Inconvenience Theatre, Winifred Haun and Dancers, and Dance for Life.. He has had the opportunity to be in original choreographic processes with Melissa Thodos, Ron De Jesus, tony award winner Ann Rienking, KT Nelsen, Harrison McEldowney, Brian Enos and Gustavo Ramirez Sansano. As well as C5 director Jeremy Plummer. He was an original cast member of never before performed archival works by Bob Fosse. Brian is currently a board member and contributing artist of LEVELdance under the direction of Eddy Ocampo and Joshua Paul Weckesser. 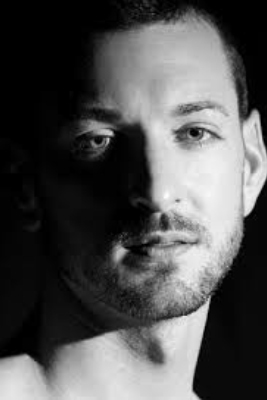 As a teacher/choreographer Brian is the Co-Artistic Director of the youth organization Denise Sabala Dance Company in Lake Zurich IL while also being on staff and teaching master classes at several Chicagoland dance studios. He has done residencies at Universities teaching master classes and setting original works, most recently at Marygrove College in Detroit. In 2016 Brian became an artistic associate with C5. With this role Brian works both on the performance side and the creative side of C5. Joe Sakellaris began his career as an executive assistant for C5 in July of 2012. His previous work for fifteen years as a sales representative and manager at clothing companies such as Eddie Bauer and American Eagle have given him a solid background for dedicated service to C5 and the companies with whom they work. Along with those skills come excellent personable and organizational skills. 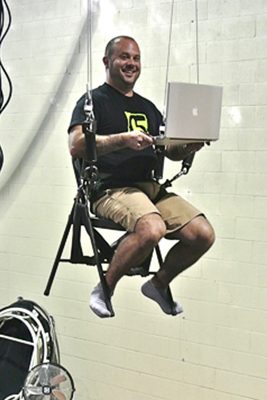 While the crew at C5 have tried many times to fly Joe, he likes to keep his feet on the ground and in the office. He handles everything from schedules to booking travel and loves to work with the apparel we sell at events and online. He was given the opportunity to join the C5 team and hasn’t looked back since. 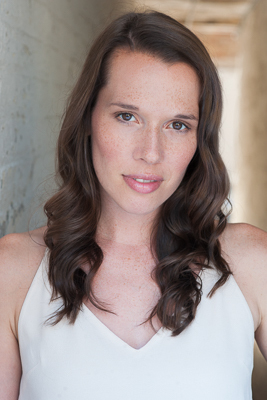 Sarah is a graduate of California Institute of the Arts, BFA in Acting. Awarded a fellowship in New Zealand, she studied the art of Bouffon under Tom McCrory, a principal student of Jacques Lecoqs, International Theatre School. She gained a profound understanding of gesture and movement through melodrama, human comedy, and tragedy. As a dancer she performed in Peach Blossom Fan, the debut play for the Roy and Edna Walt Disney Theater, REDCAT, under the direction of Zhou Long of the Beijing Opera. Peyton was born in Dallas, Texas and moved to West Texas when he was 13. While growing up in Dallas, he performed gymnastics competitively with a Junior Olympic Team from ages 3 to 13. He competed nationally in separate events as well as the all-around competitions. After the move to West Texas, Peyton made the switch from gymnastics and started diving competitively in high school. This high school diving career led to a scholarship at Western Kentucky University. During summers at college, Peyton started performing in high diving shows around the country, diving from heights up to 80 feet in the air. After college, he joined with Royal Caribbean as a diver for their production shows under the direction of Jeremy Plummer and Michael McGovern with C5. He has performed with Royal Caribbean for five years under six different contracts. Currently, Peyton is a part of the C5 aqua team teaching and directing diving and aerial aerobatics for ongoing aquatic productions. Jen moved to NYC four years ago from Chicago. In Chicago, she had the privilege of serving on the jazz faculty at the Joffrey Ballet and the Ruth Page Dance Center, as well as a guest teaching at the Lou Conte Dance Studio. She has taught and/or choreographed on Ball State University, Jacksonville Episcopal High School, SUNY Purchase, the Lions Club International Ceremonies, I Can Do That NYC and Stagedoor Connections, among others. From 2010-2013, she served as the artistic director for Chicago Freelance Dance, a choreographic based project that showcased new and emerging artists in the Chicago dance community. She has been teaching and choreographing for almost 20 years. In addition to teaching, Jen has also appeared in the Jeff Award winning Follies at Chicago Shakespeare Theatre, directed by Gary Griffin. She served as the choreographic assistant to Alex Sanchez, as well as Dance Captain. Immediately following, she appeared as a principal dancer in the Chicago Symphony Orchestra’s Welcome Yule! at Orchestra Hall. She has since worked on A Chorus Line (Assistant Dance Captain) directed by Mitzi Hamilton, Timon of Athens (Ensemble, Dance Captain) at Chicago Shakespeare Theatre, Brigadoon (US Jean/Ensemble) and A Christmas Carol (Xmas Future, Dance Captain). She has performed in numerous industrials around the world, including serving as Associate Choreographer for the Lions Club International Ceremonies in Hamburg, Germany and Honolulu, Hawaii. Proud member of AEA and AGMA. Jen has also served as director/choreographer for numerous Off-Broadway and Regional productions. Since moving to NYC, she has worked on Deployed (Assistant Director) and Soul Doctor Off-Broadway (Assistant Director/Choreographer) both under the direction of Mindy Cooper. She was the Assistant Choreographer for a TheatreworksUSA tour, Fly Guy and Other Stories for their Fall 2014 tour and took over as Choreographer for the Spring 2015 and Fall 2015 tours. She also served as Associate Choreographer for Guys and Dolls at Goodspeed Opera House, working alongside Alex Sanchez and under the direction of the brilliantly talented Don Stephenson. Most recently she served as the Associate Director/Choreographer for Evita at the Marriott Theatre under the direction of Alex Sanchez, recently named Top 25 Choreographers to watch in Dance Magazine. With such a versatile background, there isn’t anything in the entertainment field she hasn’t delved her hands into. She loves being able to collaborate and create with all types. Jen began working with C5 in 2012 as one of their rehearsal directors for OceanAria, one of Royal Caribbean’s water/diving shows. She loves her continued work with C5, because of the diverse and challenging events they take on. It offers her an amazing creative outlet and a chance to put her skills to use. Throughout her athletic and professional career, Paula Holmwood has been a high level athlete in both synchronized and competitive swimming, an Original Cast Performer for both Cirque du Soleil’s “O” and Le REVE at Wynn Las Vegas, as well as the exclusive Aquatic Choreographer and Trainer for elite athletes with C5 “create with no limits”. 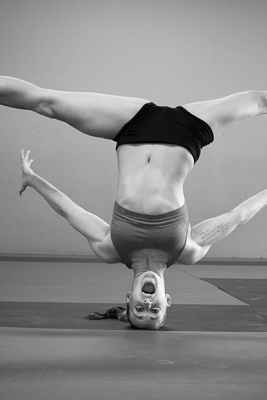 In addition to her leadership experience in synchronized swimming, Ms. Holmwood is a Level 4 Certified Instructor and One Star Instructor Trainer for AnitGravity Fitness leading and motivating groups through challenging suspension fitness classes, empowering and inspiring students to improve overall health and wellness. Beyond physical and artistic pursuits, Paula earned her Bachelor of Science at the University of Nevada Las Vegas and has a successful business career working for prestigious organizations including Bridgewater Associates, The Juilliard School, and currently as part of the Relationship Management Team with Backstop Solutions. Michael McGovern was born and raised in Warminster, PA, on the outskirts of Philadelphia. He trained at Kelly Richards School of Dance for nine years before graduating in 2000 and beginning his professional career with Royal Caribbean International. During his constant traveling, Michael soon discovered a deep passion for capturing life on film, and loves to combine the artistry of dance and photography. He is always open to new experiences and loves to make people laugh. 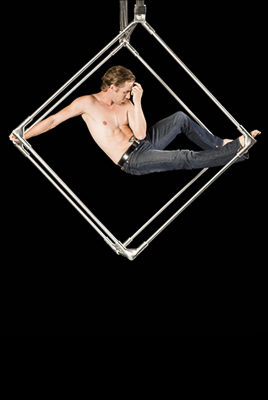 Currently Michael works as one of only five aerial training specialists for Jeremy Plummer, founder of C5 ltd, and is responsible for training aerialists on eleven of Royal Caribbean’s ships. His constant travels enable him to capture the beauty of his surroundings as his love for life, dance and photography come together in his art. Michael has had the opportunity to work with amazing choreographers such as Sherry Zunker, Frank Chaves, Harrison McEldowney and many others. Michael is a vital part of the C5 creative team, working to come up with new and innovative creative possibilities to bring to our clients. He now calls Las Vegas, Nevada home with his wife Heather and daughters Maddison Rose and Morgan Marie, but travels extensively, leaving his memorable mark wherever he goes! Cassandra was born and raised in Aurora, IL, where she began her dance training with Bonnie Ardelean’s Dance Studio. After graduating, she continued her training in Giordano Jazz Dance Chicago’s second company, Giordano II. Her professional credits include three contracts with Royal Caribbean Cruise Lines, where she performed the choreography of Harrison McEldowney, Jeremy Plummer, and Sherry Zunker. Cass was aslo a featured aerialist in the first grand scale illusion show at sea. From 2003 to 2014, she danced with the Chicago Symphony Orchestra in their annual Holiday show, “Welcome Yule!” During the summer of 2007, Cassandra was one of fifteen girls to appear on the CW network TV show “The Pussycat Dolls Presents: Girlicious”. 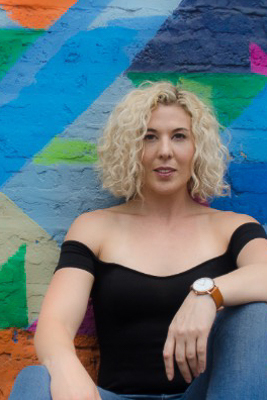 After four years performing with River North Dance Chicago and three years performing with Julia Rhoads’ Lucky Plush Productions, Cass continues to stay active with dance and choreography throughout the Chicagoland area. After performing in various C5 works, Cassandra is thrilled to now be part of the C5 creative team. At a very young age, Briana fell in love with the performing arts. The ability to speak without words was her favorite form of communication. Growing up in Homestead, FL she studied dance underneath Donna Lee Roach, as well as participated in conventions, Miss Dance Florida, and had the pleasure of working with choreographers such as Tim Fournier and Isis Masoud. Growing from her love of dance came the love of language. She received a B.A. in English from the University of Florida, with minors in Mass Communication and Anthropology. While studying, she also joined the illustrious student-run dance troupe, Danza, trained at F2 Arena and Darkside Athletics in CrossFit, Boxing, and Jiu Jitsu, as well as heavily participated in UF’s chapter of Invisible Children, an international nonprofit organization. Fresh out of university, she grew fins and joined Royal Caribbean for three amazing contracts. During this time she was given the opportunity to spread her wings and excel in aerial arts under C5 instruction. Just as life’s opportunities were thriving, Briana became ill with a very debilitating medical condition that turned her world upside down. For over a year she battled to gain her health back, learning to truly cherish even the simplest moments. Her verve for life has doubled since her steady recovery, allowing her to begin her ascent back into the air. She has taught Jazz and Lyrical classes, choreographed for students and community shows, as well as the opener for both Miss UF 2011 and 2015. Briana is honored to be a part of such a tremendous team where creativity knows no bounds and the endeavor for excellence is unmatched.